What is the FODMAPS Diet? How on earth did a diet get a name like FODMAPS? The name stands for "fermentable oligosaccharides, disaccharides, monosaccharides and polyols", referring to a variety of short chain carbohydrates and sugar alcohols found in many foods. Some people cannot digest one or more of these properly, in which case gut microbes ferment them, potentially causing gas, bloating, pain and distress. It's suggested that the byproducts of this fermentation can also disrupt the lining of the intestines, causing malabsorption and inflammation. FODMAPS is linked to irritable bowel disease, and a FODMAPS elimination diet is now popular with people who have a variety of digestive disorders. The idea of FODMAPS as a cause of digestive disease originated from research done more than 10 years ago at Monash University in Australia. Researchers proposed that the inability to effectively digest one or more of these types of carbohydrates might be linked to symptoms of irritable bowel syndrome (IBS) and possibly other intestinal problems. At that time, there was little information about which foods might contain which FODMAPS substances. A program of chemical analysis of foods began, and now there is a more comprehensive database. Most FODMAPS substances don't meet the official definition of fiber. Many, such as lactose and fructose, are sugars that people typically can digest and absorb. The same goes for sugar alcohols used as artificial sweeteners, such as sorbitol. Sensitivity to any of these varies from one person to another. You might have a problem with lactose, but not fructose. Or you might not tolerate sorbitol, but have no problem with fructans, the short chain carbohydrates that are especially concentrated in onions and wheat. Wheat can be particularly confusing. Some people self-diagnose with gluten sensitivity because they believe wheat causes digestive upset. In fact, they might actually have a problem digesting fructans, in which case they need to also avoid other foods with those carbohydrates, such as onions. While some GI doctors (gastroenterologists) now recommend this diet for people with IBS and other digestive diseases, there is conflicting evidence about whether it helps. Some people find relief whereas others do not. It's possible that conflicting results are caused by the accuracy of diet restrictions, since information on FODMAPS in foods is not always reliable. Food lists on many websites are not complete. Many people try to wing it, using such lists, without good guidance on maintaining a balanced diet. If FODMAPS restrictions result in a poor diet, that alone could cause problems. One of the biggest problems with a FODMAPS diet is that it's a shotgun approach to investigating a complex problem. 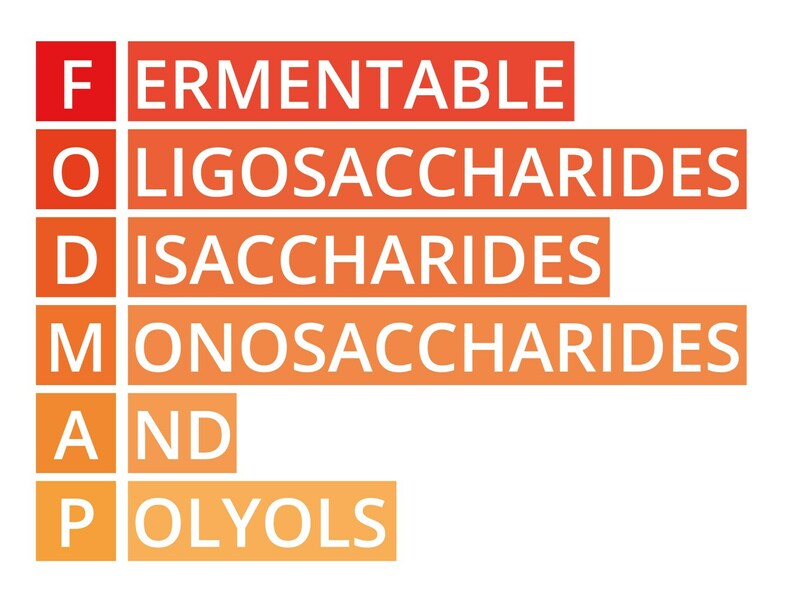 FODMAPS substances come in a variety of different chemical forms, each depending on a different digestive process. The inability to digest one could cause symptoms, but you might be fine consuming all of the others. Unfortunately, there's no way to figure out which one is the problem without going through a lengthy elimination diet, avoiding all foods with any FODMAPS substance. If after a requisite diet period you have no symptom improvement, it's safe to conclude FODMAPS is not your problem. If you do have improvement, at some point you can start adding certain foods back to see if your symptoms change. What you add back depends on what foods you previously ate. The best approach would be to add certain types of foods with specific FODMAPS to avoid confusion. Occasionally it is fairly easy to identify the offending substance without going on a strict FODMAPS elimination. If you are lactose intolerant, you might learn to associate symptoms like gas and intestinal upset with milk, yogurt or ice cream. Avoiding those leads to relief. Bingo, you have an answer. Or you might notice that when you consume foods with added inulin you have symptoms. Avoiding inulin is fairly easy. Just read ingredients lists. Foods labeled "high fiber!" frequently have added inulin, such as cereals, bread, energy bars and even some yogurt. Sugar alcohols used as low calorie sweeteners are also easy to identify. If you consume lots of sugar-free gum or other candies or low calorie foods, check the label for sugar alcohols like sorbitol. The name ends in "...ol". It's easy to omit these to see if your symptoms improve. Another complication would be amount of a FODMAPS substance consumed at one time. You might have a problem digesting and absorbing fructose, but you're OK eating foods with just small amounts of this simple sugar. The same might be true of fructans. You might tolerate small amounts of wheat-containing foods, but not large portions at one meal, such as pasta with garlic bread and then cake for dessert. Since accurate information about possible FODMAP substances in all foods is incomplete, it's hard to post a definitive list of all foods to avoid. Some websites have long lists, and you might wonder what's left to eat after reading through those. Health benefits: There are no particular health or nutritional benefits to this diet. The main potential benefit will be reduction of symptoms for people who suffer from IBS or other digestive diseases. Weight loss: This is not a weight loss diet, but for some people, excluding so many foods can lead to weight loss, whether desired or not. Some people may see weight loss as an added benefit. Restrictive: Avoidance of all foods containing wheat and rye can be the most problematic restriction, as many foods fall into that category, from bread to pasta to all other bakery foods and many cereals. Potential for a nutritionally unbalanced diet due to so many food restrictions. Inconvenient: More home cooking may be necessary, and it may be difficult to dine out and stick to the restrictions. Not accommodating to Vegetarian or Vegan Diet. Dinner: grilled pork chop, baked potato, tossed green salad with olive oil vinaigrette. A FODMAPS diet will not necessarily cost anymore than your regular diet. Monash University sells books and apps to help people navigate this diet. If you need to go on a strict version of this diet, you might benefit from consulting with a dietitian or a health care provider with expertise in creating balanced FODMAPS elimination diets. Such a person can also help you work through food challenges after the diet period. Consulting websites or online support groups might be helpful, but they may not always be promoting the most accurate information. The FODMAPS diet does not always provide expected relief from digestive symptoms. If you have a medical condition that might be improved, such as IBS, your doctor might recommend it. The problem is, no one knows if FODMAPS substances cause symptoms, or just make existing symptoms worse. Note that following a FODMAPS Diet may or may not result in weight loss - it depends upon whether or not you create a calories deficit. But it is certainly possible that your calories intake decreases given the removal of so many food options. Who would most benefit from this diet? People with severe digestive disease that impacts their quality of life might benefit from this diet. But keep in mind, it does not help everyone. Is it viable long term? Yes, but you would be consuming a very restrictive diet. What is more likely is that only certain FODMAPS substances cause you problems and you can safely add back many of the other foods. Do I like this diet? I personally do not need to be on this diet, but if I were experiencing unresolved GI symptoms, I would probably be tempted to try it. I "like" it if it helps people live more comfortably. Many other publications have information about FODMAPS, including WebMD, Harvard School of Public Health, and other medical and public health information organizations.